When executives at luxury electric hybrid auto manufacturer Karma Automotive chose a site for a new state-of-the-art manufacturing plant, there was only one choice: the City of Moreno Valley, California. Supported by Moreno Valley’s pro-business environment, skilled and motivated workforce, strategic location, and affordable lease rates, the U.S. automaker shipped the first units of its luxury vehicle, the Karma Revero, last year. Just 60 miles east of Los Angeles and Orange County in Southern California, the City of Moreno Valley is situated in the heart of the Inland Empire, the fastest-growing region in the United States. Less than three hours to Nevada, Arizona, and Mexico, companies like Amazon, Procter & Gamble, Skechers USA, ResMed, Philips Electronics, Minka Lighting, and Aldi Foods call the city home. 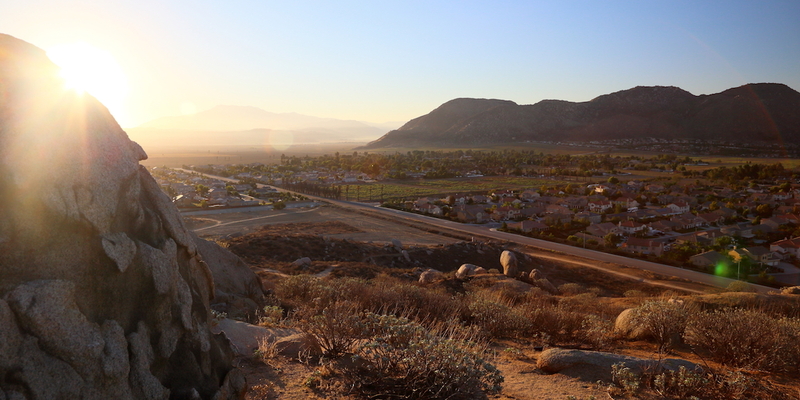 With its annual growth rate of 5.04 percent, Moreno Valley’s population of 210,000 is booming. More than 2.3 million people live within a 20-mile trade radius and form a strong workforce of 1.1 million. This solid growth has propelled the city to second largest population in Riverside County and 21st largest in California. Three colleges — the University of California, Riverside, California Baptist University, and Moreno Valley College – attract more than 40,000 students each year. There are also 44 top universities in a 50-mile trade area. Tech companies, like those focusing on spatial data and aerospace and defense, are growing in the region, due to availability of land, robust technical secondary education, and the March Air Reserve Base, also Moreno Valley’s largest employer. For businesses looking to expand or relocate, Moreno Valley offers incentives like unparalleled plan check turnaround times, potential costs savings on permits and inspection fees, and a unique business concierge service. With its city-owned electric utility company, Moreno Valley offers attractive electric rate discounts that range from 7 percent to 26.5 percent. Additional discounts are provided for local hire. Together, the City of Moreno Valley and the County of Riverside run the popular Employment Resource Center, offering businesses free workforce recruitments, employee training, business consulting, workshops, and job postings. Businesses receive incentives for hiring recent graduates as well. Moreno Valley’s ideal location, business-friendly atmosphere, and motivated workforce are why Karma Automotive and so many Fortune 500 companies have made it their home. Previous article Is 7z The Best File Compression Format?